In my previous article, I began a series on the the chaotic nine-year stretch from 1917 to 1925 — an era that nearly destroyed the Orthodox Church, and produced the global Orthodox context in which we live today. Today we turn the page to 1918, when things go from bad to worse. In January, Metropolitan Vladimir of Kiev was the first bishop to die a martyr at the hands of the Bolsheviks – he was beaten and tortured before being shot. His final act was to pray for his killers’ forgiveness. In February, on elderly hieromonk was beaten with rifle butts before being killed. Another priest was taken to a cemetery and stripped naked, and when he tried to make the sign of the Cross before being executed, a soldier cut off his right arm. Still another priest tried to stop the execution of a peasant, but was beaten and hacked to death with swords. An abbot was scalped before being beheaded. A priest in the Diocese of Kherson was crucified. Another elderly priest was dressed as a woman and told to dance in the village square; he refused and was hanged. In July, the Bolsheviks drowned Bishop Hermogenes of Tobolsk and his companions: rocks were attached to the bishop’s head and he was thrown into the water. 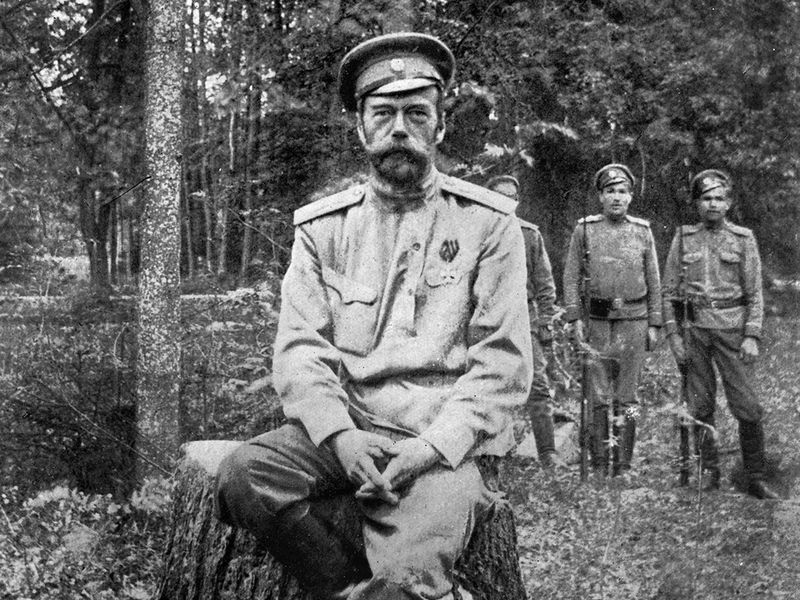 The next day, the Bolsheviks murdered the imprisoned Tsar Nicholas II and his family. Twenty-four hours after that the Tsarina’s sister, by then the Abbess Elizabeth and her attendant the nun Barbara were also slain. In Voronezh, seven nuns were boiled in a cauldron of tar. Archbishop Joachim of Novgorod was hanged upside down over the Royal Doors on the iconostasis. Over fifty priests were murdered in the Diocese of Stavropol alone; another 42 were killed in the Diocese of Perm. In Perm, the Bolsheviks cut out the eyes and cheeks of one priest, paraded him through the streets, and then buried him alive. All of this was happening before the so-called “Red Terror” began in August. In the second half of 1918, an estimated 102 priests, 154 deacons, and 94 monastics were executed by the Communist regime. In the wake of the revolutions in Russia, the financial state of the Patriarchate of Jerusalem went from bad to worse – the Patriarchate had long been dependent upon Russian financial support, which was cut off once the Tsar was overthrown. With Russian money and pilgrims no longer flowing into Palestine, Orthodox schools and other institutions were forced to close. Furthermore, the Patriarchate was cut off from income from its property holdings in Bessarabia and Wallachia. 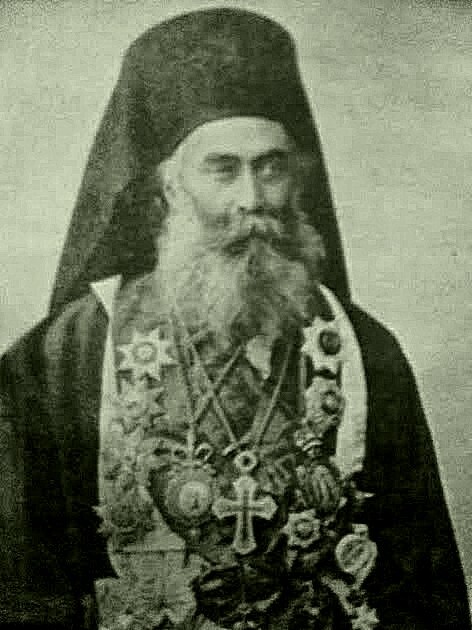 In May 1918, the Brotherhood of the Holy Sepulchre declared its intentions to hand over full control of the Patriarchate’s administrative and financial affairs to the Greek government, which insisted upon the deposition of Patriarch Damianos. The Brotherhood complied, and in September, they deposed Damianos. However, the British government, which controlled Palestine, would not recognize Damianos’ deposition and wouldn’t allow the Greek government a free hand in the Patriarchate. The British did arrange for the sale of many properties of the Patriarchate – and many of the buyers were Jewish companies. This was the beginning of the sell-off of Orthodox lands to Jewish settlers – a problem that has continued to plague the Patriarchate to this day. Over in Constantinople, in October, Ecumenical Patriarch Germanus V’s own flock rose up against him due to his authoritarian approach to church governance and his failure to defend the Orthodox people who were being persecuted by the Turkish government. Germanus condemned the rebellion, but he ultimately resigned on October 12. The Ecumenical throne would remain vacant for the next three years. In November Constantinople was occupied by a coalition of British, French and Italian forces who would remain there for almost five years. In the Patriarchate of Antioch, the entire region had been a war zone for the past two years, as the Arab Revolt, begun in 1916, aimed to create a single, unified Arab state. Famed British writer T.E. Lawrence – “Lawrence of Arabia” – was a key figure on the Allied side in this conflict. On October 1, Allied forces captured Damascus. A few days later, Emir Faisal, with British support, announced the establishment of an independent Arab state. Following the Great War, Poland achieved its independence, and the new government set about establishing a new Polish state with a national unity based on Roman Catholicism. There was no place in that vision for a Polish Orthodox minority, and the government set about confiscating Orthodox property and handing it over, either to the Uniates (“Greek Catholics”) or directly to the Roman Catholic Church. Some 400 Orthodox churches were confiscated in the period from 1918-1924, and others were completely demolished. In some cases, churches were simply turned into junkyards, warehouses, or cinemas. In most of these cases, the state didn’t even bother removing the altar or icons. With Prime Minister Venizelos in power in Greece, his close ally, the controversial hierarch Meletios Metaxakis, was elected Archbishop of Athens and primate of the Church of Greece. Archbishop Meletios immediately set sail for America, and in October, he created the Greek Archdiocese of America (yes, in 1918, not 1921 as is commonly reported). On December 1, in Belgrade, the Kingdom of Serbs, Croats, and Slovenes was proclaimed. In time, this new country came to be known as “Yugoslavia”(“South Slavs”). It was a near-inevitability that, eventually, this political union would lead to an ecclesiastical union of the various Serbian Orthodox bodies in the new territory of Yugoslavia. While all this was happening, throughout 1918 and for some time afterward, the world was beset by the “Spanish Flu” pandemic, which killed an estimated 20-50 million people worldwide.